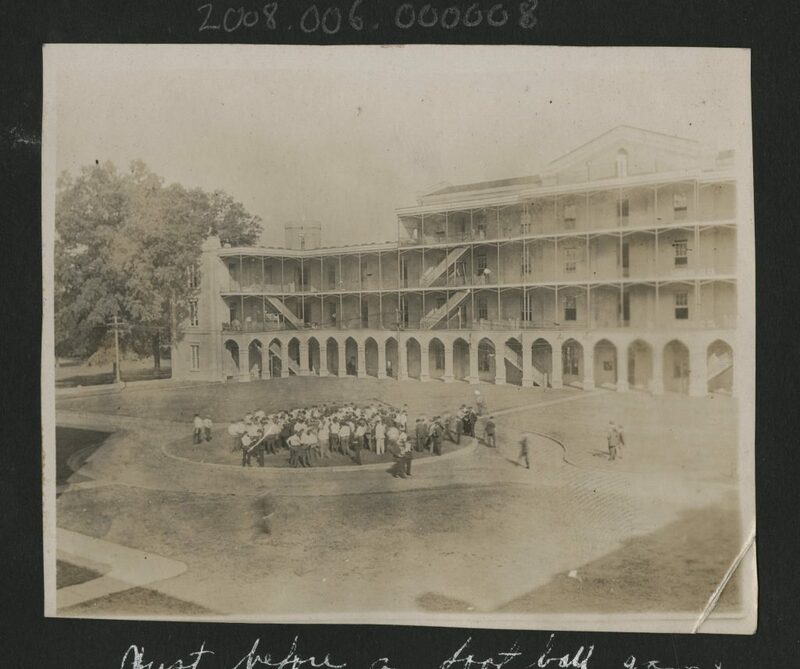 The photo exhibits what some call the built environment of the original UA campus. Scholarly research on the built environment focuses on how the human-made surroundings that provide settings for human activity. The point of such research is this: if architectures actively form our relationships with each other, then we are able to think about inclusion by design. Returning to the photo above allows us to put questions about design and inclusion to Woods Quad. These questions, despite their anachronism, are important. Who made use of Woods Quad? Who did not have access to Woods Quad? For each group of people who did not have access to Woods Quad, for how long were they unable to access the Quad? Why? How does technology become invisible in everyday life? How does technology affect intrahuman interaction? Regarding digital effects on diversity and inclusion, recent answers to these questions can be very diabolical. The research of Chris Gilliard, another DPL facilitator who is Professor of English at Macomb Community College, shows how digital redlining works to reinforce discriminatory structures on the internet. Another example is how Facebook’s hate speech filters effectively do just the opposite, as was concisely criticized by Tressie McMillan Cottom on Twitter. It is naïve to think that digital platforms are neutral. They were designed somewhere by certain people with very specific interests. As Gilliard notes, each platform has a logic. If nothing in higher education happens without the use of digital tools, then it is all the more important to ask questions about our University’s built digital environment. Who makes use of this platform? Who is put at risk when they use this platform? Who does not have access to this platform? For each group that does not have access to this platform, for how long are they going to be unable to access this platform? Why? 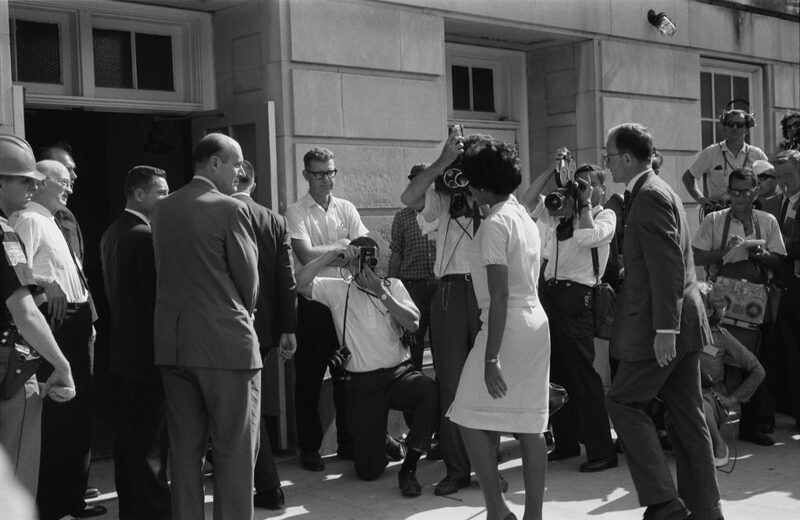 Vivian Malone registers at the University of Alabama in 1963. These are the kinds of questions asked by someone who takes a critical approach to digital literacy. Critical digital literacy marks a shift by educators from technology use to tech scholarship. Several links are embedded in these questions. They are aimed at asking about the designed implicit bias and cultural assumptions that go into the building of our digital learning environments. As Monica Sulecio de Alvarez and Camille Dickson-Deane show in their peer-reviewed research, educational technology is just as prone to sustaining and reinforcing barriers to diversity and inclusion as the so-called big players (who own, sit on the board of directors or influence ed-tech consumers). These are the kinds of questions that may be asked of our University’s digital environment at events such as the Diversity and Inclusion Lunch and Learn on September 27, 2018, from 12:00–1:00pm in Gordon Palmer Room A232. RSVP here.